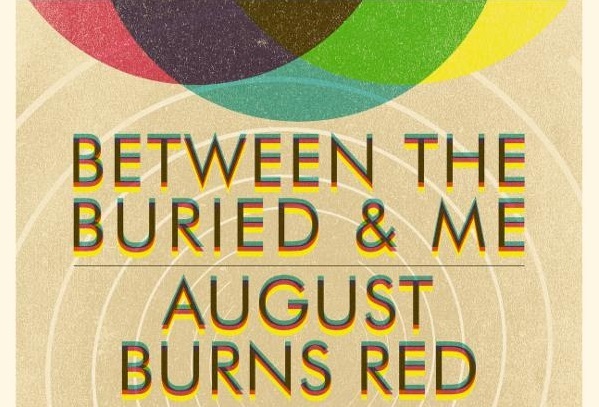 Between The Buried And Me and August Burns Red will be joining forces for a co-headlining North American tour that kicks off on March 4th in Sayreville, New Jersey at Starland Ballroom. With additional support from The Faceless and Good Tiger, the trek will wrap-up in New York, New York on April 17th at Webster Hall. Tickets go on sale starting Friday, January 8th at 10am local time. In addition VIP Packages will be offered at showstubs.com/abrbtbam. They will include a general admission ticket, an 18 x 24 signed poster, a VIP laminate/Skip The Line Pass, a BTBAM/ABR pintone pin set, and an exclusive tour t-shirt, at showstubs.com/abrbtbam.